I haven’t done a blog post for ages and its like starting again from the beginning, so here are some random photos I’ve taken in the last couple of months. 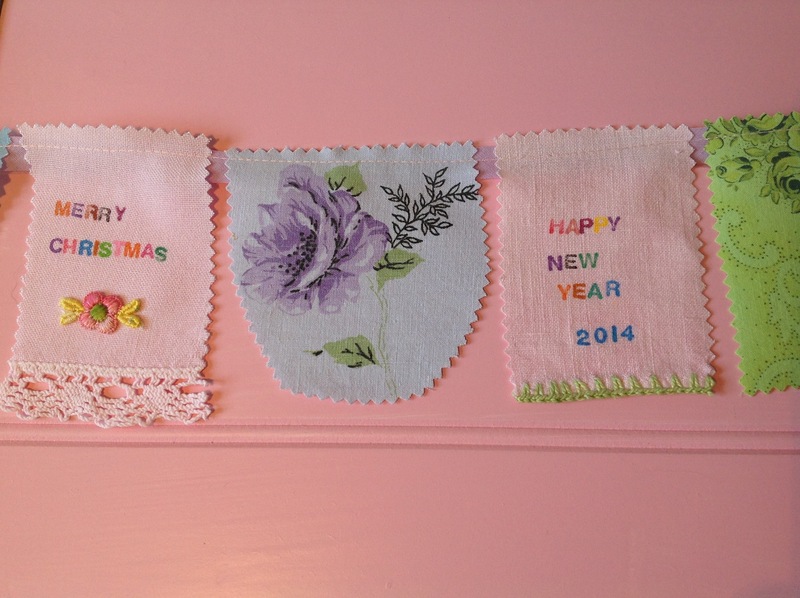 Vintage fabric bunting I made for Christmas. 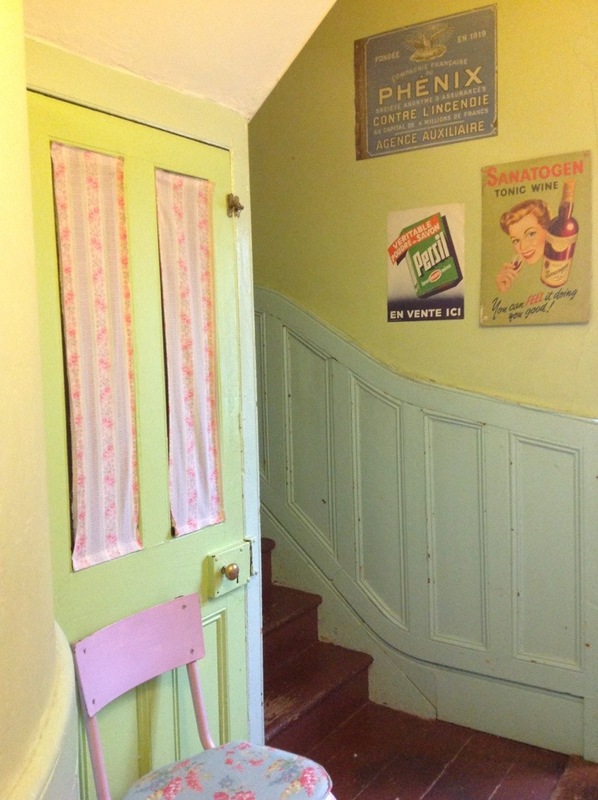 The door that goes down to my teeny weeny cellar. 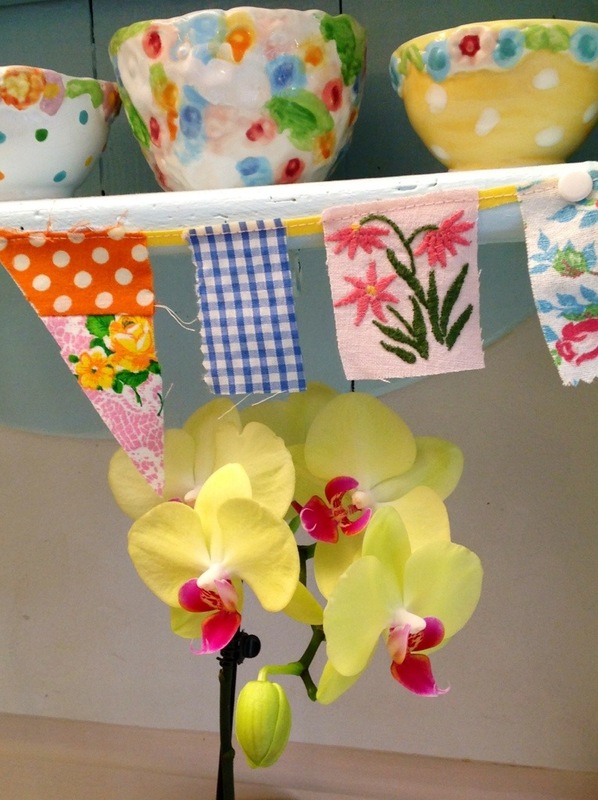 This one was by the till at HomeBase and I couldn’t resist it’s acid yellow colour. 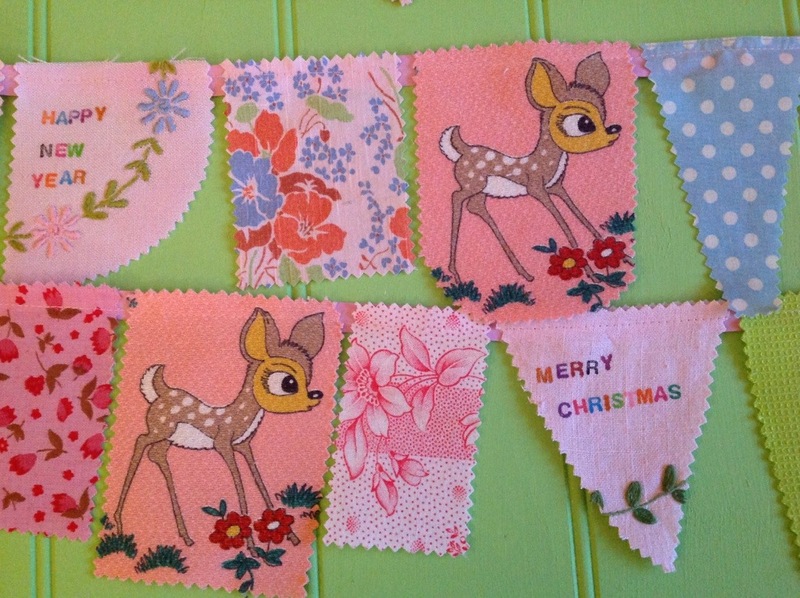 Vintage Bambi bunting for a special order. 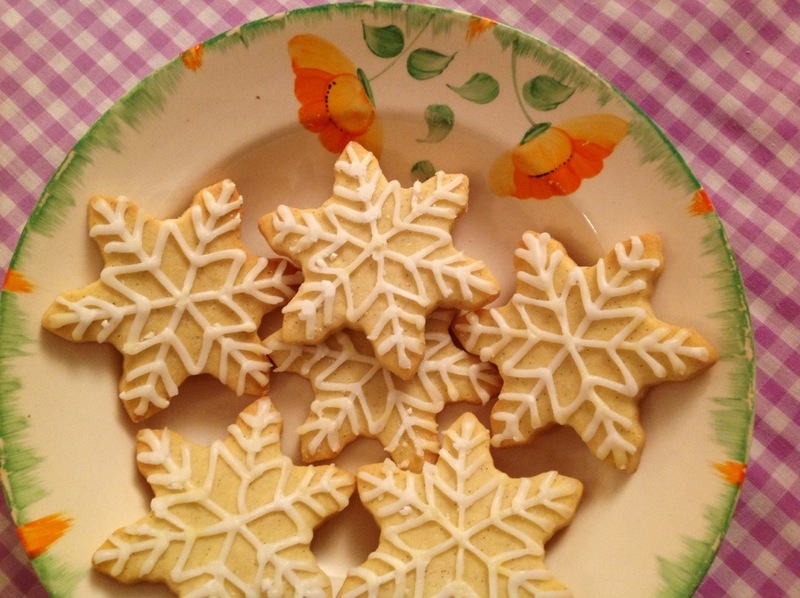 Exquisite Christmas biscuits I bought at a school fair. 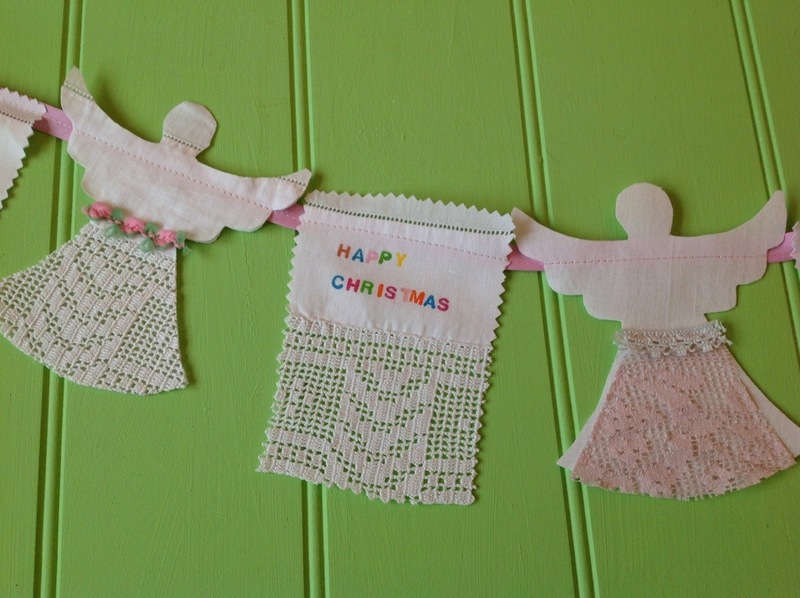 Angel bunting made with vintage lace. 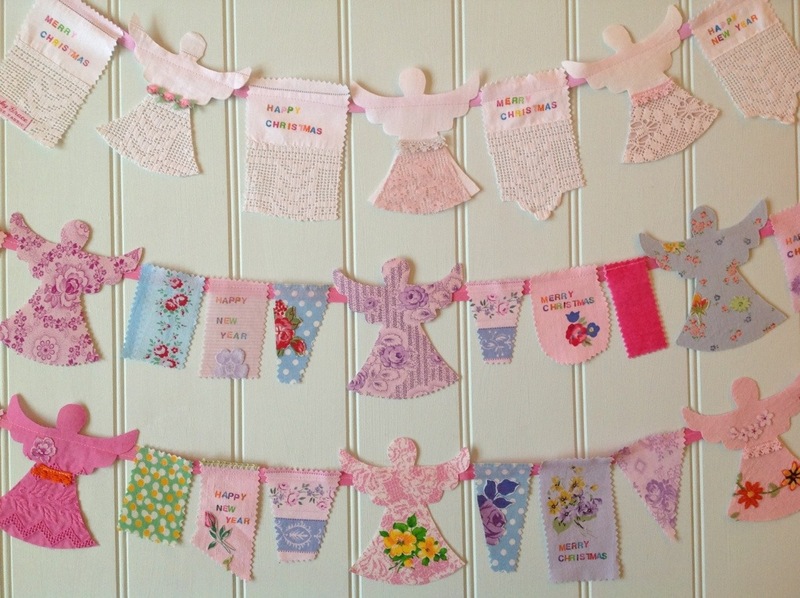 I made lots of angel bunting and sold it at a couple of Christmas fairs. 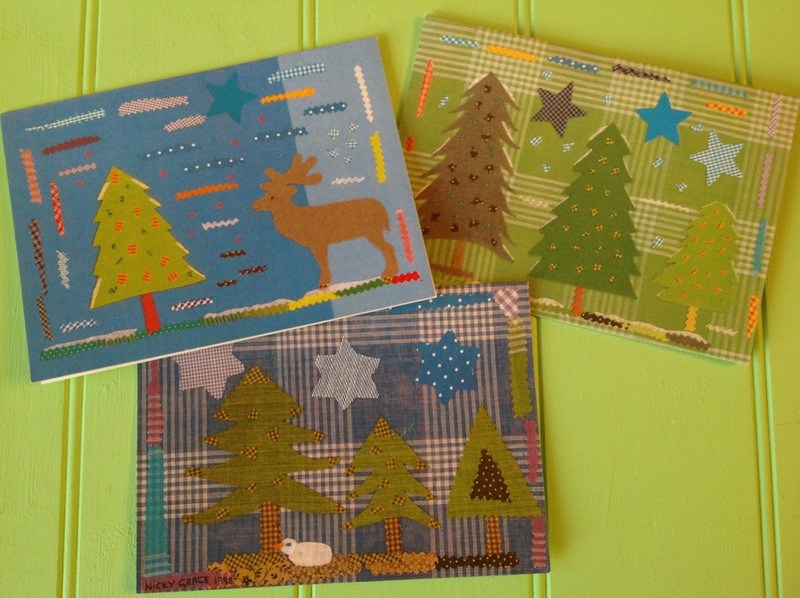 Christmas cards of my collages. 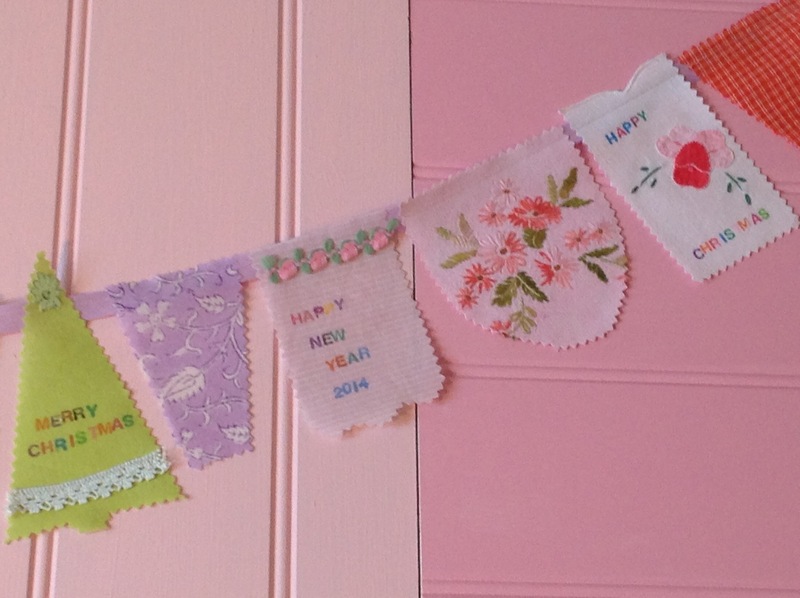 I have a large amount of these which I sell very cheaply. Let me know if you want some. 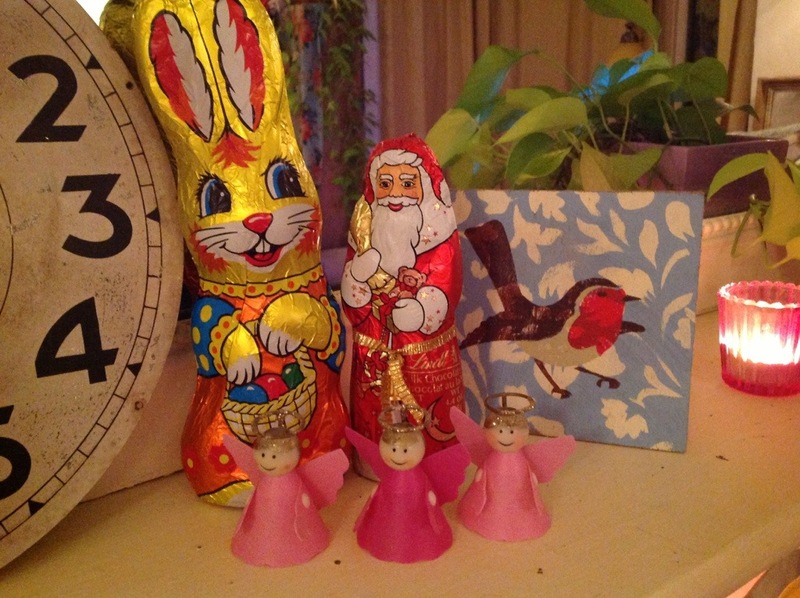 Easter Bunny with Father Christmas and the Angels. 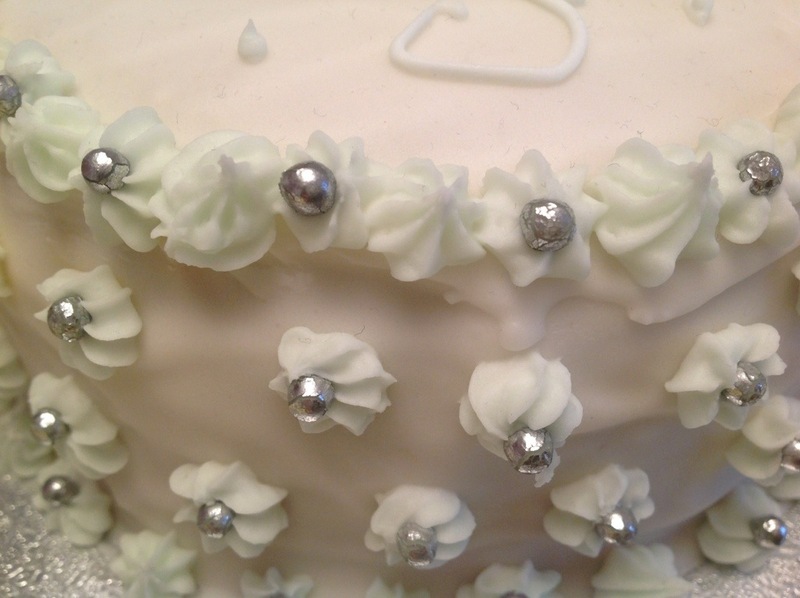 A very special friend always makes us the most beautiful Christmas cake which I cover with my glass cake dome. It’s a sad day when the last crumb has been eaten. My son bought me a little tin which is supposed to be like a slice of cake. 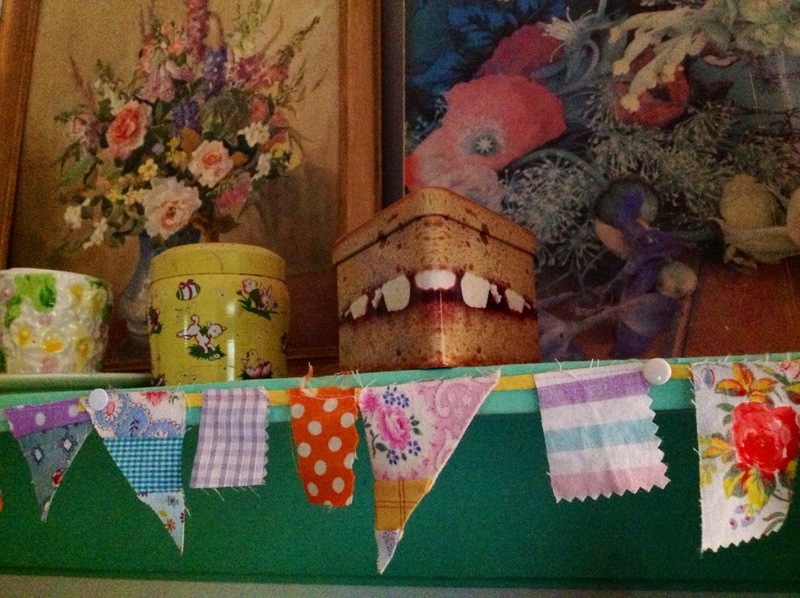 I put it on the shelf in my bedroom and all I can see is a comedy shark with bad teeth and it makes me smile. Can you see it ? 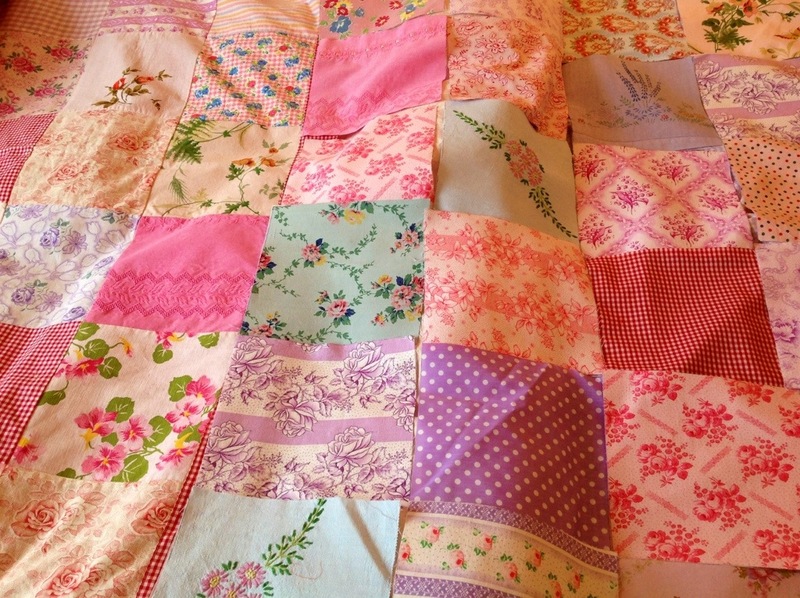 A lovely customer who lives in Scotland bought one of my quilts the other day but wanted me to make it a third bigger so these were all the squares all ready to sew. Welcome back Nicky. 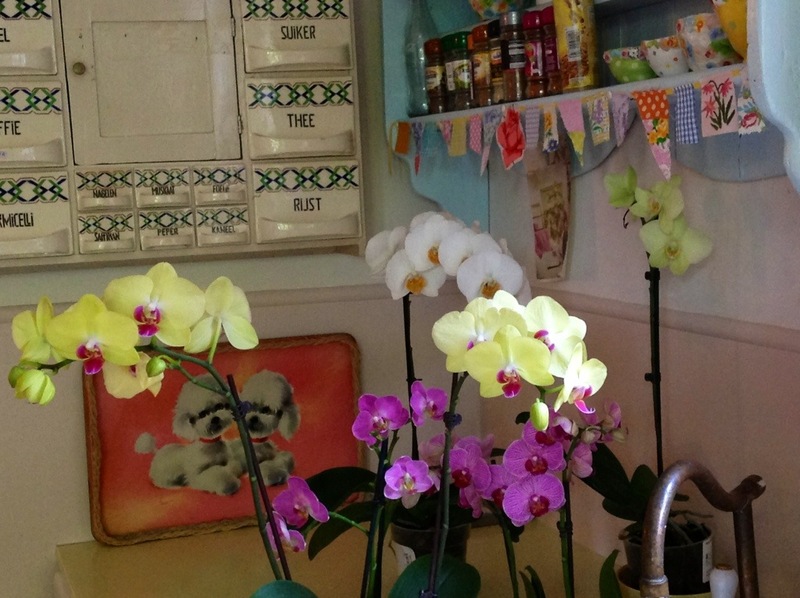 Hope you will be posting more..the pet shop and cemetery posts remain a couple of the best I’ve ever read.